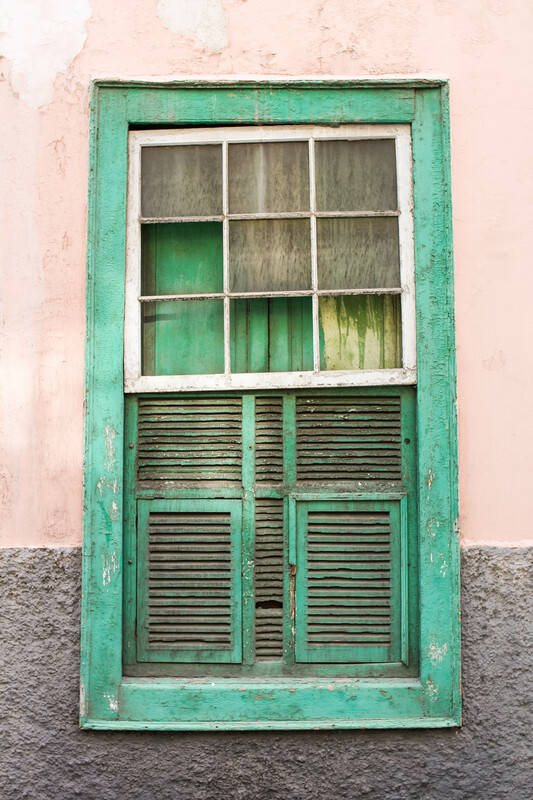 Pretty pastel buildings line cobblestone streets as cascades of bougainvillea adorn colonial churches. 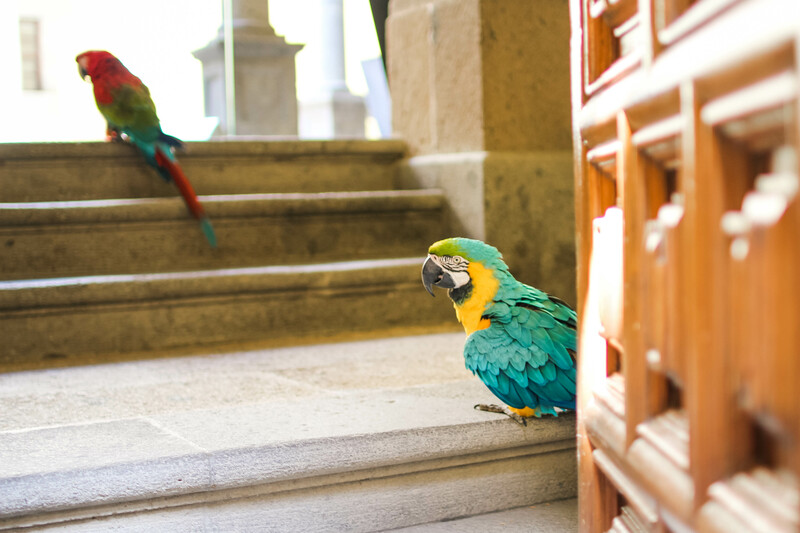 Tropical birds sing in the island breeze, while the scent of spicy mojo picón wafts through bustling restaurants during lunch hour. In one direction lies the Atlantic, and in the other lies a lush volcanic landscape begging to be explored. 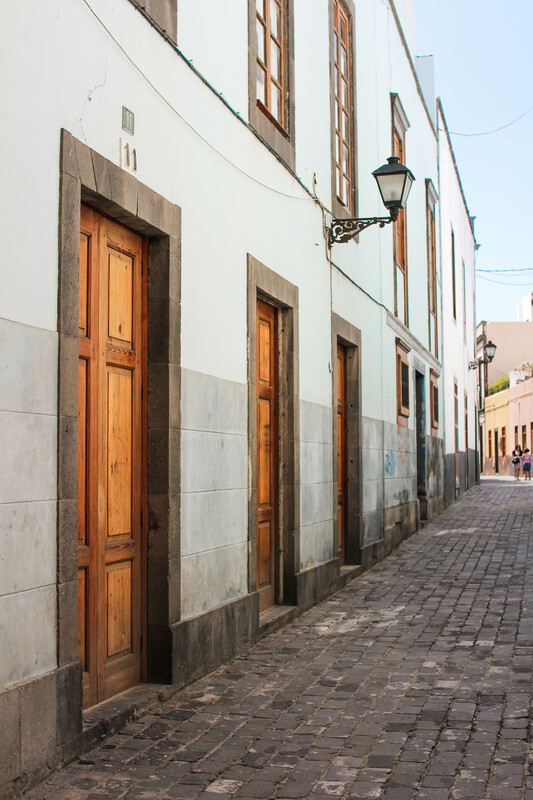 A juxtaposition of pristine and well-worn, of old world charm and modern Spanish flair, the inviting old town of Las Palmas, Gran Canaria offers a glimpse into the beating heart of the Canary Islands. 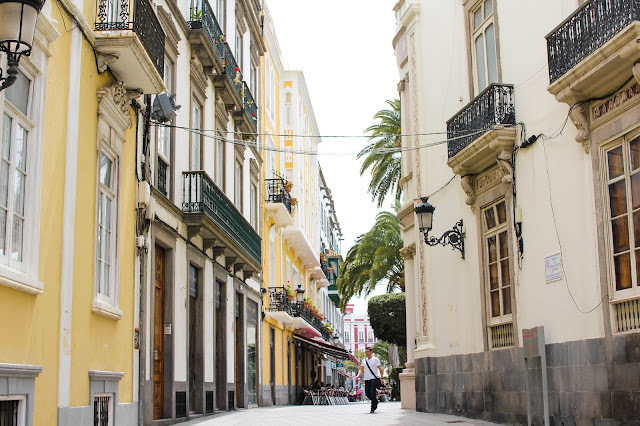 After exploring Puerto de la Cruz and Costa Adeje in Tenerife, we hopped a ferry to our next and last stop in the Canary Islands: Vegueta, the charming old town of Las Palmas, Gran Canaria. 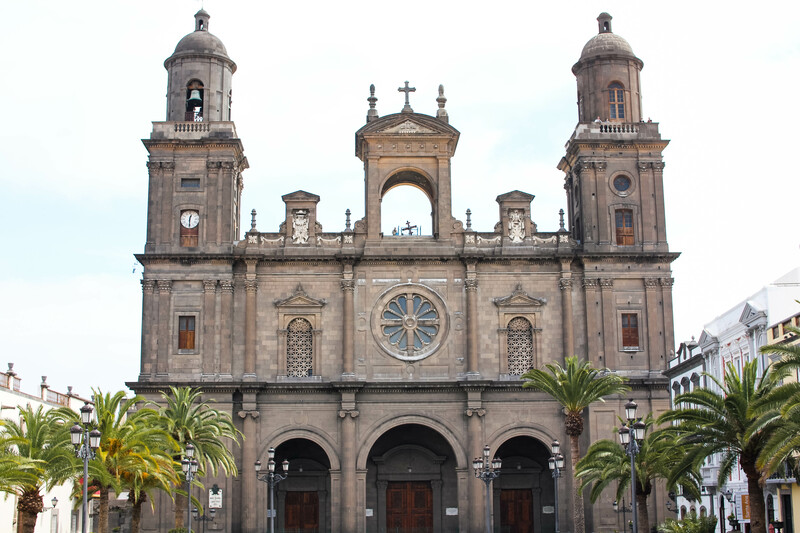 Compared to Tenerife, the old town of Las Palmas was not swarming with hordes of tourists (and subsequent tourist traps). 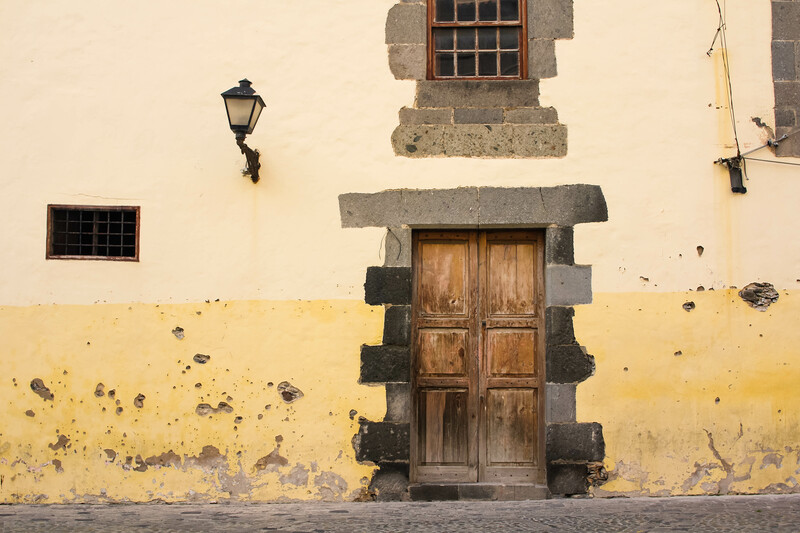 We were therefore able to discover a more authentic side to the Canaries, and dare I say, an even more delicious side. 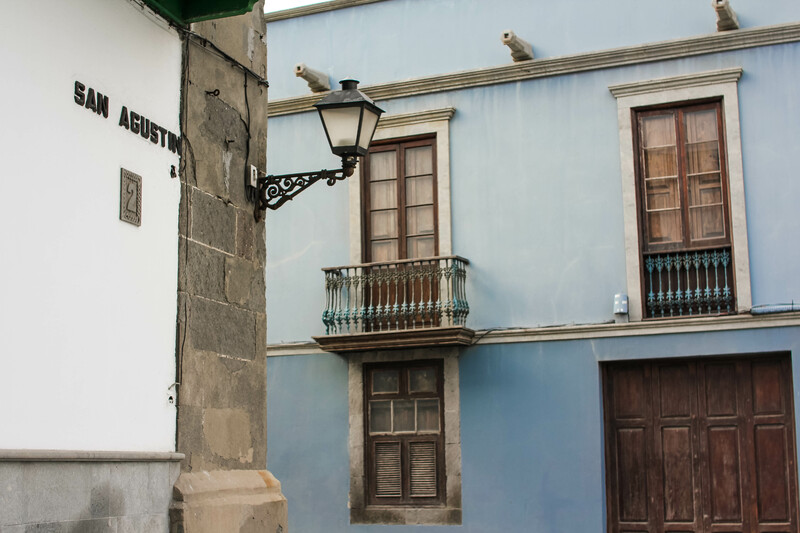 With its vibrant colors and eye-catching colonial architecture, we quickly fell for Las Palmas. 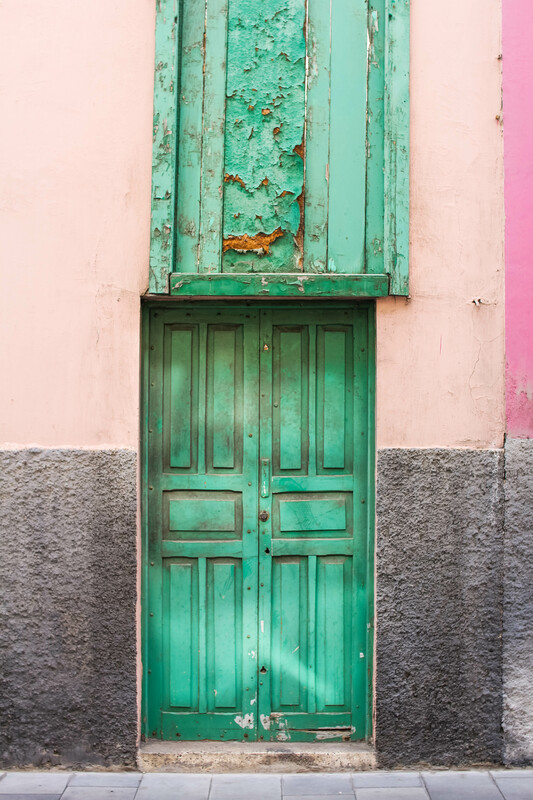 Using our adorable Airbnb as a home base, we leisurely wandered through Vegueta by day, and ate our weight in papas arrugadas drenched in mojo picón by night. 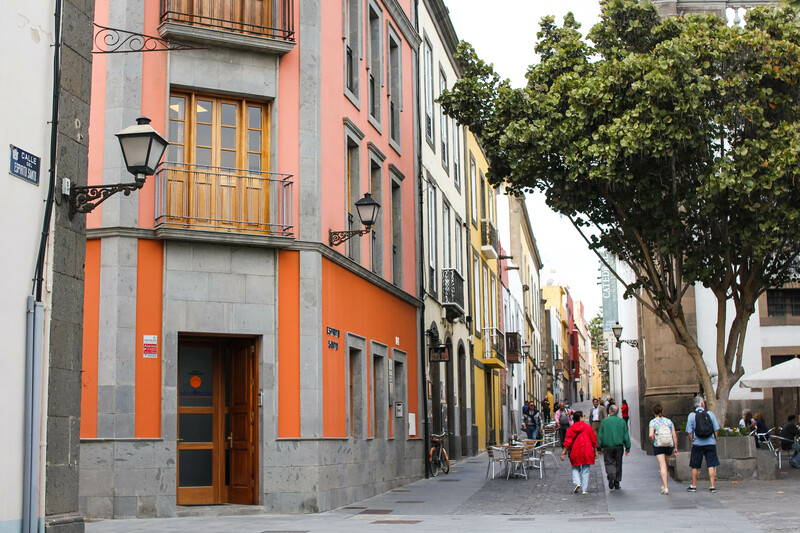 Here we found a mecca of eateries on Calle Mendizábal, Vegueta's main foodie drag, including La Champiñoneria and La Hierba Luisa. 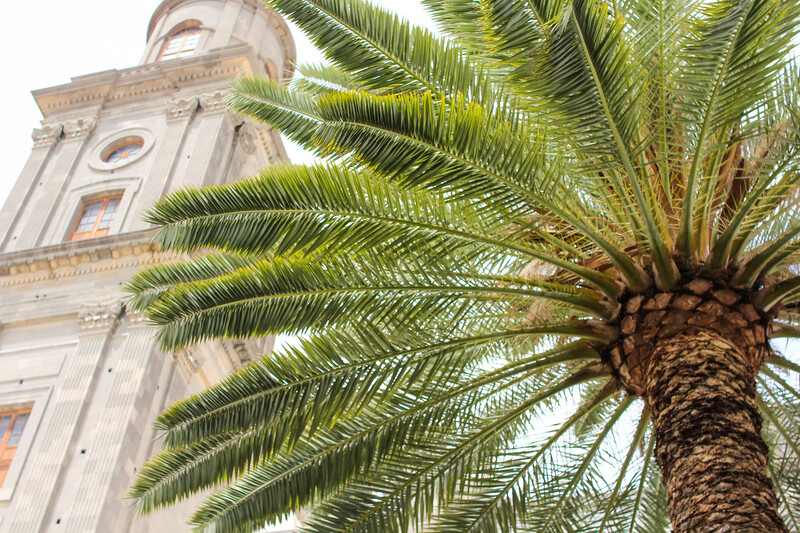 Though we made sure to pop into the Columbus Museum and the Santa Ana Cathedral, our sightseeing mostly consisted of aimless walks through the colorful streets, admiring the architecture and snapping photos of every darling detail. Wanting to discover more of the island's volcanic landscape, we ventured to La Caldera de Bandama for what promised to be a beautiful hike. We hiked down to the bottom of the volcanic crater, enamored by the lush vegetation and breathtaking views. The steep climb back up nearly killed me, but I was rewarded at the top with a picnic and sublime views of the crater. Though growing up in the Pacific Northwest has spoiled me with countless gorgeous hikes, Gran Canaria's Caldera de Bandama was easily one of the most memorable hikes I've ever done. That evening, we quickly consumed all of the the calories we had burnt off at La Caldera de Bandama with a feast of tapas and volcanic red wine at Mercado del Puerto. 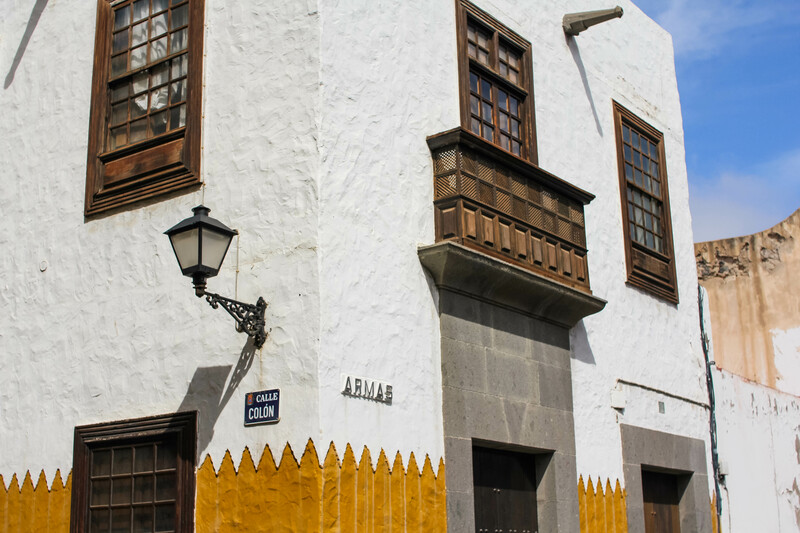 Although this modern market lies on the opposite side of town as Vegueta, it's well worth the trek. 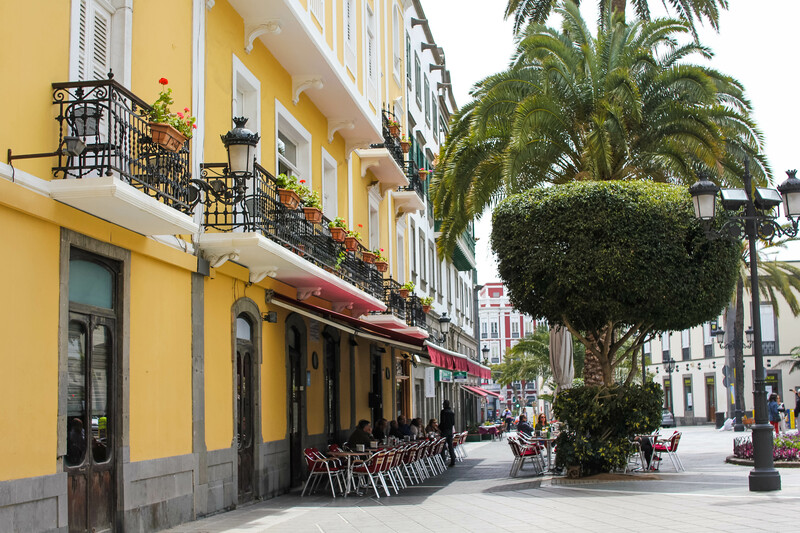 Its polished stalls offer a plethora of Canarian specialties, seafood dishes, traditional tapas and Spanish staples. 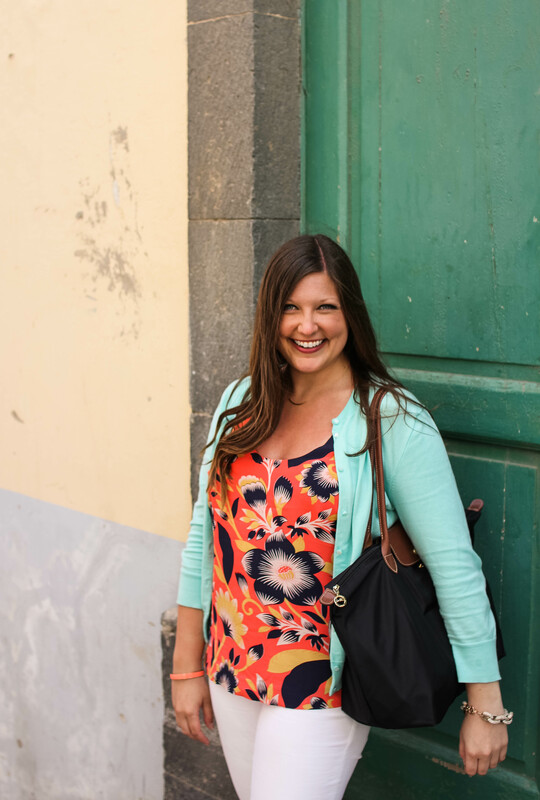 While I wish it had been warm enough to venture to Gran Canaria's famed beaches and surreal sand dunes, I hope my newfound love for the Canary Islands will bring me back there again someday. 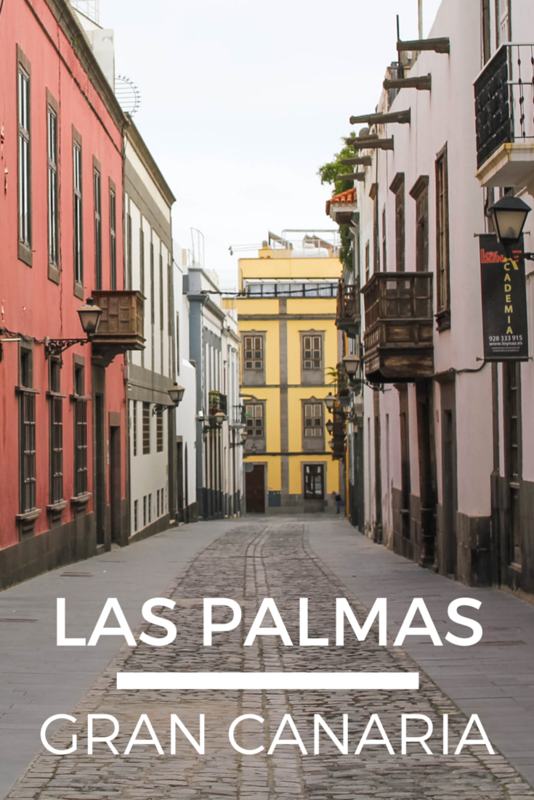 Between the stunning landscapes, friendly locals and mouthwatering cuisine, I'll always have an excuse to return to Las Palmas. 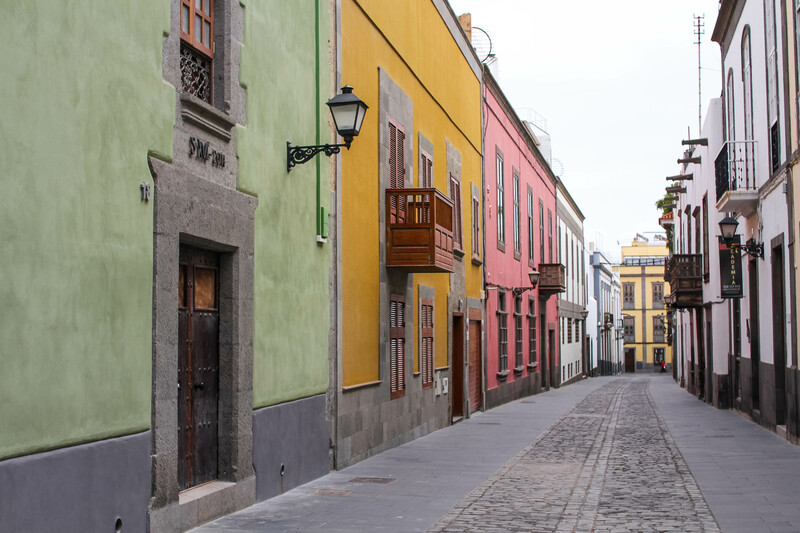 7 comments on "Colonial Charm in Las Palmas, Gran Canaria"
It's so pretty! I can't get enough of those colours, they're fantastic. I've been playing with the idea of taking a holiday on the Canary Islands, your posts on them have me convinced I need to go ASAP. The hike was truly incredible - volcanic landscapes are so unique! Don't you just love how diverse Spain can be? They are truly a magical place! I would love to go again when it's warm enough to go to the beaches. During Semana Santa, it was only warm enough on the southern coast of Tenerife. Better than nothing, I guess!